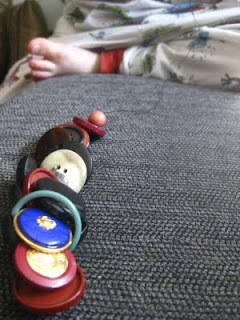 Making this button "snake" took Oliver a good hour. And he made THREE of them throughout the day! 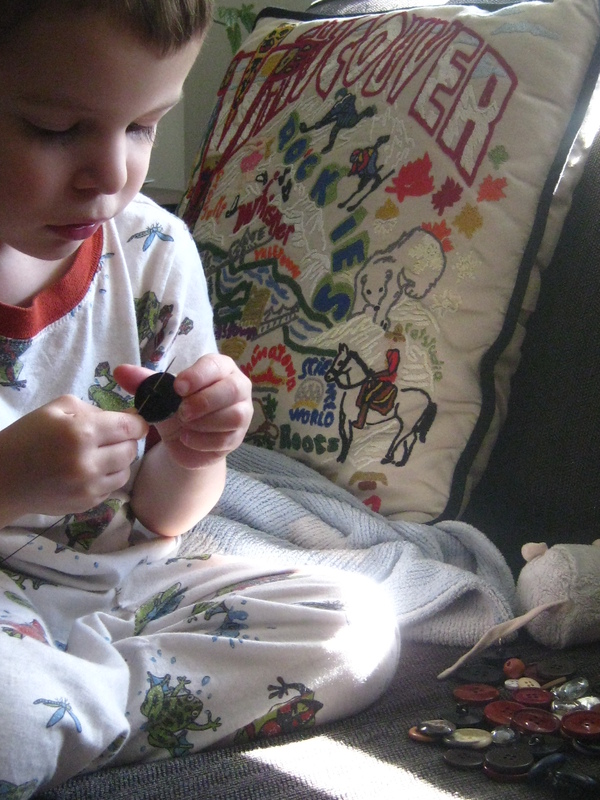 These buttons (a $2 bag from Dressew in Vancouver) have certainly come in handy; we usually just sort them into colours and types using muffin tins. Every so often a new use for them occurs to me though. Laundry is in the dryer and the children are napping. Ham and cheese panini and homemade broccoli soup for dinner.